New Real Madrid recruit Thibaut Courtois has named THE three goalkeepers he considers to be the best in football at the moment. The former Chelsea goalkeeper left the Premier League outfit to join La Liga giants Real Madrid in a £31.5 million transfer over the summer. The former Atletico Madrid man has since kept Keylor Navas out of the Los Blancos team despite his dismal start to life in the Spanish league. The Belgian has so far conceded 18 goals in 11 appearances for the reigning European champions, who currently sit at sixth place on the league table. However, Courtois managed to swoop most of the awards this year, having won the FIFA World Cup Golden Glove as well as the FIFA Best award for Best Goalkeeper of the year. 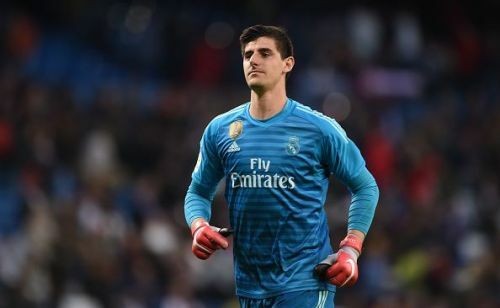 Courtois has now named his top three goalkeepers, with surprise names like that of Manchester United's David de Gea and his Chelsea replacement Kepa Arrizabalaga cut off from his list. The Belgian has picked Barcelona shot-stopper Ter Stegen, Liverpool's Alisson and Atletico Madrid keeper Oblak as the top three goalies in football at the moment. Speaking about his top choices to AS, the goalkeeper said, "Ter Stegen, Alisson and Oblak." "They're all great goalkeepers, but I don't know who's the best. I couldn't pick one." He added, "That depends on the time, of the defensive line and also of the whole team. I think I've also shown that I'm at a high level." Santiago Solari's Real Madrid is set to return to La Liga action when they face Valencia tomorrow.